WE LOVE THE PROBLEM. NOT JUST THE SOLUTION. ACi Architects was formed to provide a team culture offering purpose-driven economic development for major property development owners. Formed from diverse global development and architectural experiences, our mission is to help customers forecast the future using unique processes, which provide clear and value-driven principles to steer a strategic path to the opportunity ahead. Strategic planning support provided by ACi Architects strengthens and maximizes the financial investment of destination developments: integrated environments that deliver a total experience. A destination can be cities, urban districts, sporting venues, transit oriented developments, educational campus, technology corridors and healthcare centers. As destinations, planned communities of tomorrow take elements from all of the above, including downtown cities, urban centers, medical, science and technology villages. Businesses and Communities that operate destinations serve as hosts. Their customers are guests. The overarching measurement of customer satisfaction is the guest experience. In other words, a destination is a business venture in which the place is the product. The full development of a destination deals with more than planning and building it. It encompasses the full range of financial feasibility, product development, experience scripting, programming, design, engineering, operations and overall project delivery and start-up strategies. ACi Architects understands this. Completely. We provide a clear process to help you follow the strategic path to your opportunity within the realities of your financial and time related constraints. 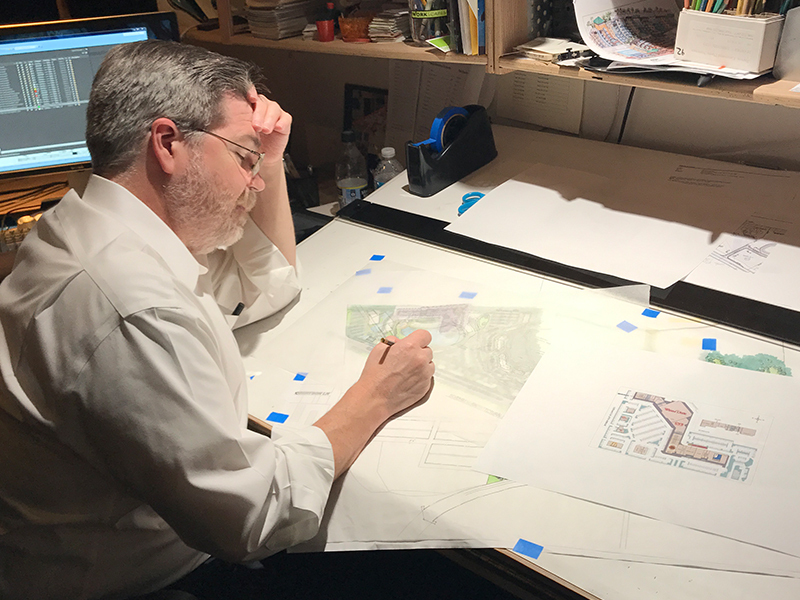 ACi Architects distinguishes itself from traditional service firms in that we serve as true consultants. We tailor our resources based on our customer’s requirements and extend their organization’s’ capability, rather than ask the customer to adapt to the outside expert. We rely on networks of resources consisting of seasoned professionals who know and have worked with the best in the world in a variety of disciplines. The best for your project means just that: knowledge, skills, experience and attitudes complementary to yours. In an ideas-based service, the ability to relate and communicate with the customer is as critical as the quality of the thinking behind those ideas. ACi Architects resources go beyond planning and designing an environment, because they start with realistic approaches to help you quantify the opportunity: trade area analysis, master planning, design standards, accurate project construction costs, and craft building delivery plans based realistically on the opportunity itself rather than adapted from someone else’s model. We help you dig to uncover the hidden barriers to success. Working with you, together we learn the true topography of your opportunity. Together, we then build the strategies to realize your vision efficiently and profitably, leveraging advantages while reducing barriers. To bring inspired design thinking that cultivates the qualities of life that create extraordinary value for people and places. Community is at the heart of what we do. We review every client’s project as a case-by-case to determine the best team members, services, and project packages. To make each of our projects the most unique and personalized, our team has committed to learn about each of our clients stories and visions, thus developing a passion for our clients and partners.